As a creative you already have the most important tool for designing your dream life: an imagination. In fact, it’s probably your job on the daily to see something in your mind and make it a reality. So if you can do that with a website, a well-designed room, an outfit, or a logo then why can’t you do it for your life? The number one culprit I’ve seen is not making the vision real. My own life coach says “If you can see it, it’s yours.” So today I’m going to share some really practical tools for you to use so you can really see the life you want to live – then make it yours. Obviously, I’m a huge fan of blogging. It’s not for everyone but I think it’s one of the single most effective tools for shaping, sharing, and holding yourself accountable to living the life you want. It gives us a place to tell our stories – and everyone wants to hear a good story. So for example, while I don’t do things just to blog about them, I probably wouldn’t be as motivated to get off my couch if I didn’t have a space to document my adventures. Pinterest is the modern-day mood board. You might prefer the old-fashioned collage technique of vision boarding where you cut and paste images and words you like from a magazine onto a poster board but I’m far too lazy for that. So Pinterest is a place to get dreamy and really put visuals to some vague notions of what you want your life to look like. If Pinterest is the modern day mood board than you’d think Blogging would replace your diary. But not so fast. There is something magical that happens when you put pen-to-paper. I think it’s a mind/body connection at play when you get dreamy on paper. A journal that no one else sees is a safe place to make lists, draw mind maps, write morning pages, set intentions, and explore your own deepest life desires. So go out and get yourself a Moleskine today (though, I prefer the cheap wide-ruled 99¢ composition notebooks – it’s less intimidating to mark up). Paulo Coelho says “When a person really desires something, all the universe conspires to help that person to realize that dream.” I believe that the more you can get other people on board with your dreams and your vision the faster it will manifest. So set a coffee date with someone who inspires you and exchange dreams. I promise you’ll connect new dots and set plans in motion to make your vision actually come true. Plus, it’s one more person to hold you accountable to living the dream. If you want something to happen you’ve gotta make time for it. Go into your calendar and set some dates with yourself. This could be anything from clearing your schedule for a day to paint, de-clutter your house, go for a hike and a picnic, or setting a reminder to talk to your spouse about booking an adventure. The idea is to actually commit time for action, otherwise you may get bit by the procrastination-and-excuses bug. 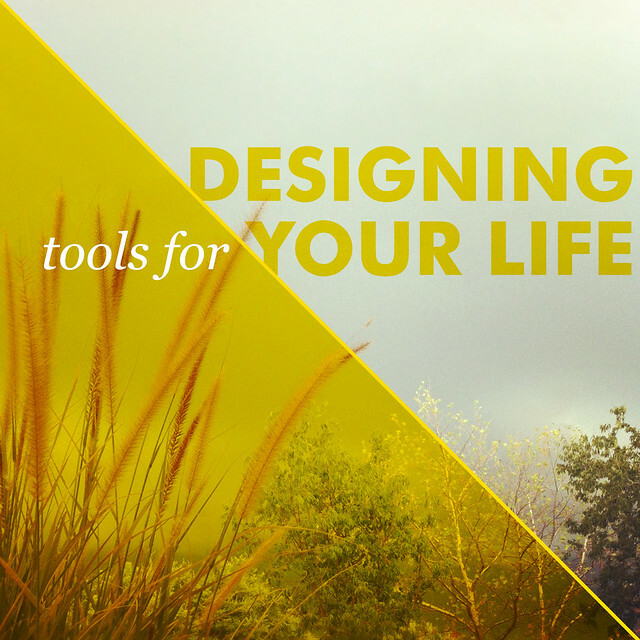 What tools are your favorite for visioning and designing the kind of life you want to live?